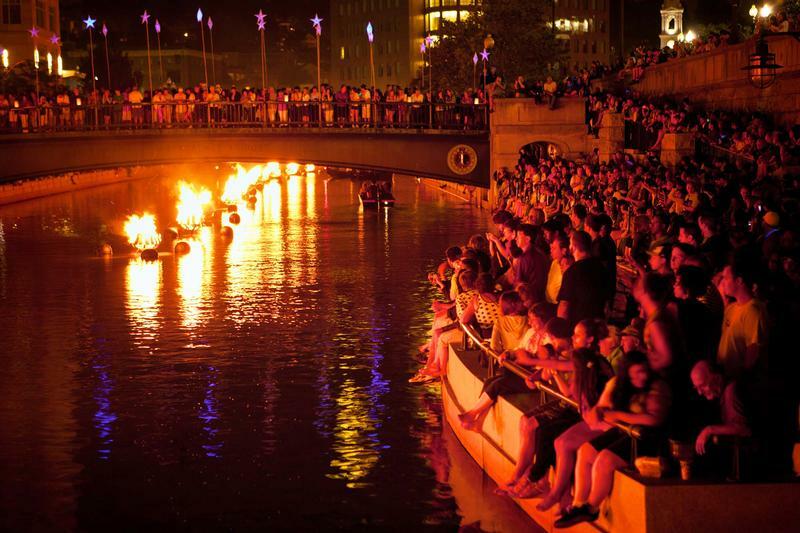 On certain nights in May through October, Providence, R.I., turns magical, thanks to an annual arts event called WaterFire. When about 100 bonfires glow on the Providence, Woonasquatucket, and Moshassuck rivers that converge in downtown Providence, the city is transformed. The event was born from an art installation by artist Barnaby Evans in 1994 and was so popular that a nonprofit organization grew from it. At dusk on many Saturday nights, braziers, which have been installed in the rivers, are filled with wood and lit. The night takes on an air of mystery and is quite beautiful. Thousands of people come out in force to enjoy the scene, which includes music, food, entertainers, and art. On most nights, there is a fire dancer performance, a mime show, and arts and crafts tables for kids. Children, in general, love WaterFire, with its festival feel and variety of things to see and do. I also think that there are relatively few opportunities for families to enjoy a nighttime event together and kids revel in the experience. Many weeks have a special element added. For example, September 15 features an outdoor salsa ballroom, while on September 29, there’s a scavenger hunt (you need a smartphone for this). However, while these additions are always fun, no matter which night you visit, you’ll still have a great time. Full lightings (when all the fires are lit) for the rest of the season occur on September 1, 15, 29 and October 6. A partial lighting (with less going on) will occur October 16. For more details, visit www.waterfire.org. While the event is free, the nonprofit group asks for a $5 donation. If you’d like to explore Providence a bit before WaterFire activities begin, there is a great 60-minute tour along the RiverWalk. The guided tour is $10 and covers stories of Providence’s past and present and you’ll learn about its outdoor sculptures and architectural styles. Tours depart at 5:30 p.m. from the John Brown House Museum (52 Power Street). Reservations are requested. Has your family been to Waterfire? What did you think? 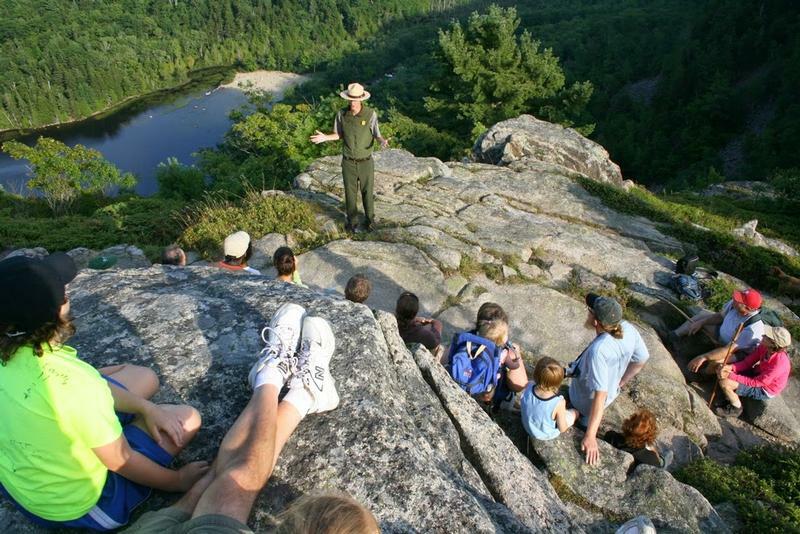 New Hampshire’s White Mountains offer countless options to get outdoors with your family.